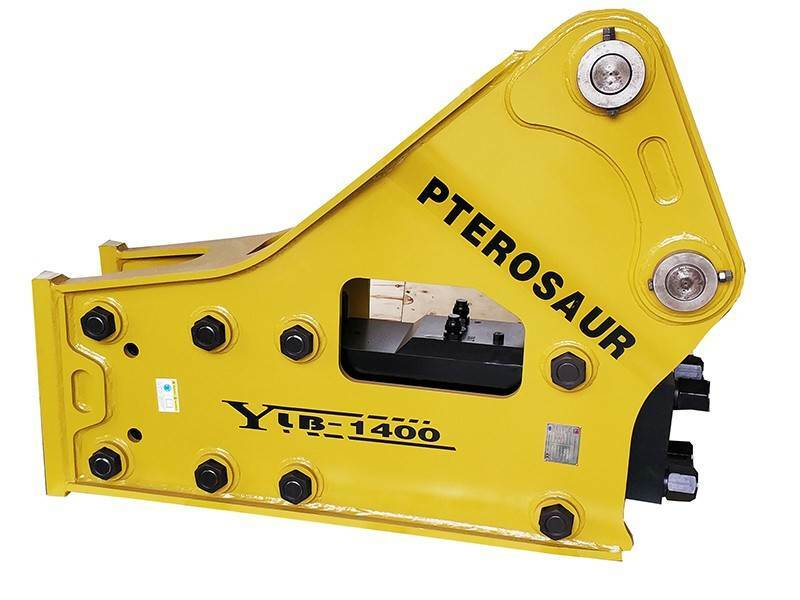 Hydraulic breakers are widely used in special working environments such as gravel, mine, road, civil engineering, demolition, underwater engineering, tunnel engineering, steel slag cleaning. The use of a simple hydraulic circuit requires less oil and has a stronger impact and wear resistance than similar products, greatly improving work efficiency.If you want to know more about sb81 hydraulic breaker，welcome to call us.We will give you profesional service and supply the most details information about sb81 hydraulic breaker.Baicai machinery is your best partner. Hydraulic breakers are referred to as “hammers” or “crushers”. The power source of hydraulic breakers is the pressure provided by excavators, loaders or pumping stations. It can crush stones and rocks more effectively during construction. Work efficiency. 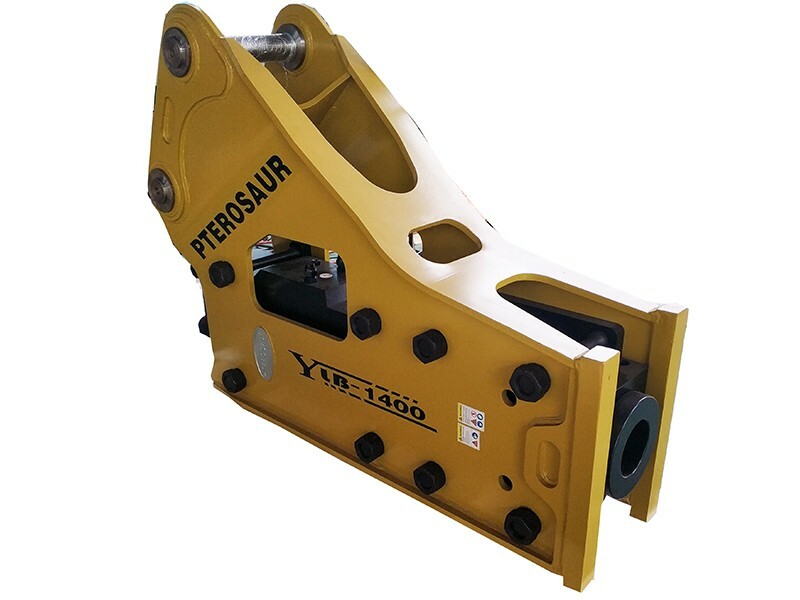 The principle of selecting a hydraulic breaker is to select the most suitable hydraulic breaker according to the type of excavator and the environment of the operation. There are many types of hydraulic breakers, and there are many classification methods. According to the operation mode: hydraulic breakers are divided into two types: hand-held and airborne; classified according to working principle: hydraulic breakers are divided into three types: full hydraulic, liquid-gas combined and nitrogen explosion. The liquid-gas combination relies on hydraulic oil and rear-compressed nitrogen to expand and simultaneously push the piston. 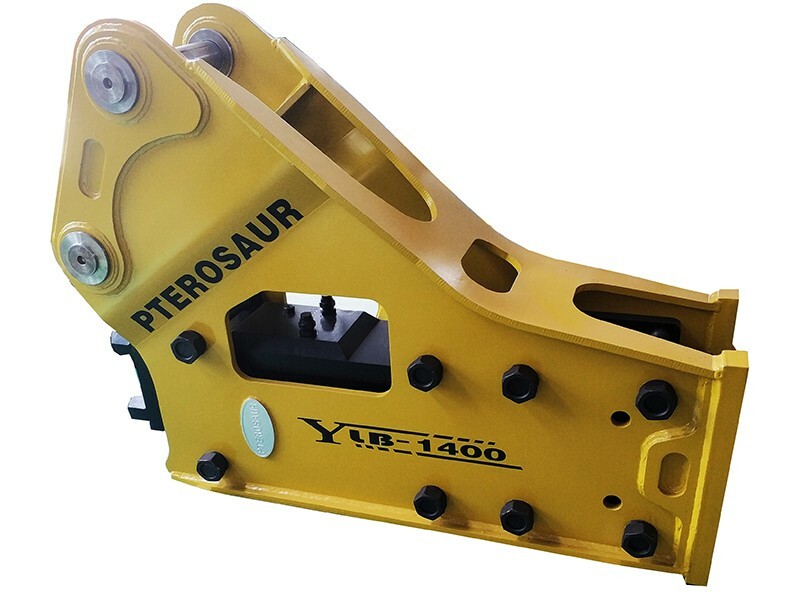 At present, most of the crushers belong to this type of product; according to the classification of the valve structure: the hydraulic breaker is divided into two types: the internal valve type and the external valve type. 4. 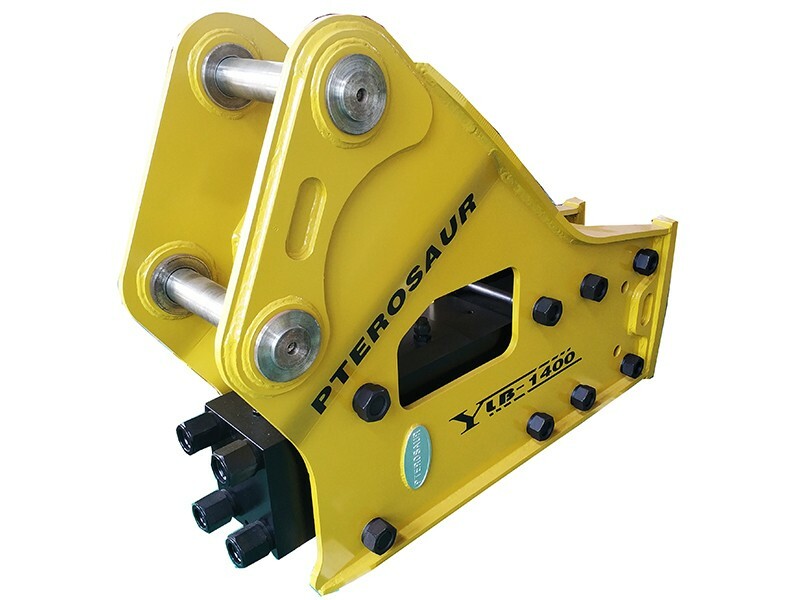 The triangular type breaker has no side weight and the probability of breaking the drill rod is reduced. Baicai machinery begin to produce hydraulic breaker since 2004 by using Korea advanced technology.All material choosed are according to Korean standard.This guarantee our quality is top class in this industry. Many factory choose bad quality material to reduce the cost and sale by lower price.We trust that the machine will prove which quality is best.The mahcine won't lie.As the leader of hydraulic breaker industry in China,we always observe "Integrity Oriented Quality First". 1) The optimum hydraulic oil temperature for hydraulic breakers is 50-60 degrees, and the maximum temperature should not exceed 80 degrees. Otherwise, the load on the hydraulic breaker should be reduced. 2) The working medium used by the hydraulic breaker can usually be the same as the oil used in the main hydraulic system. YB-N46 or YB-N68 anti-wear hydraulic oil is recommended for general use, and YC-N46 or YC-N68 low temperature hydraulic oil for cold areas. Hydraulic oil filtration accuracy is not less than 50micro; m.
3) New and repaired hydraulic breakers must be refilled with nitrogen at a pressure of 2.5 and ±0.5 MPa. 4) The drill stem handle and the cylinder guide sleeve must be lubricated with calcium-based grease or composite calcium-based grease, and each shift should be filled once. 5) When the hydraulic breaker is working, the drill rod must be pressed on the rock first, and the hammer must be started after a certain pressure is maintained. It is not allowed to start in the suspended state. 6) It is not allowed to use the hydraulic breaker as a crowbar to avoid breaking the drill rod. 7) The hydraulic breaker and the fiber rod should be perpendicular to the working surface when in use, so as not to generate radial force. 8) When the broken object has cracked or cracks begin to occur, the impact of the breaker should be stopped immediately to avoid harmful “running”. 9) If the hydraulic breaker is to be used for a long time, the nitrogen should be exhausted, and the inlet and outlet ports should be sealed. The iron should be stored under high temperature and below -20 degrees. 1.Read the operating manual of the hydraulic breaker to prevent damage to the hydraulic breaker and the loader. And operate them effectively. 2. Check the bolts and connectors for looseness and leaks in the hydraulic lines before operation. 3. Do not use a hydraulic breaker to burrow holes on hard rock. 4. Do not operate the breaker under full or full contraction of the piston rod of the hydraulic cylinder. 5. When the hydraulic hose is subjected to severe vibration, stop the operation of the breaker and check the pressure of the accumulator. 6. 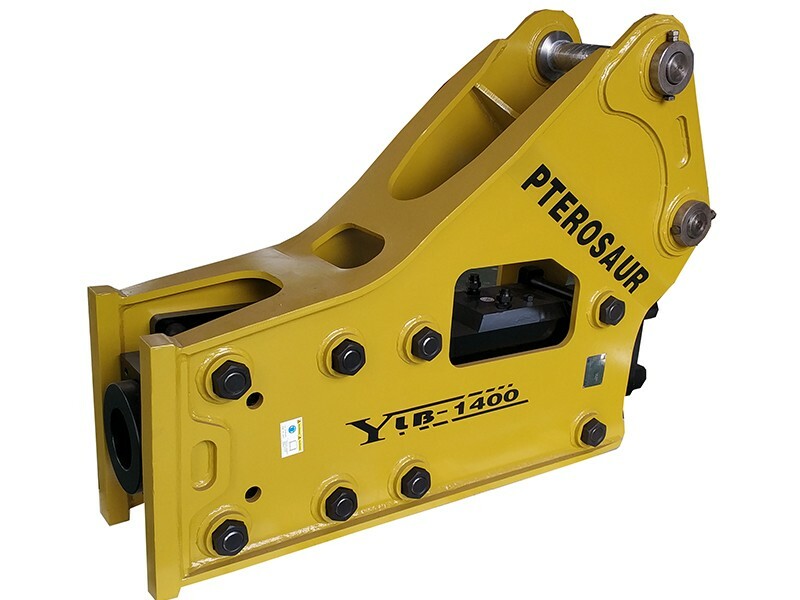 Prevent interference between the boom of the digging machine and the drill bit of the breaker. 7. Do not immerse the breaker in water except for the drill rod. 8. Do not use the breaker as a lifting device. 9. Do not operate the breaker on the tire side of the digging machine. 10. 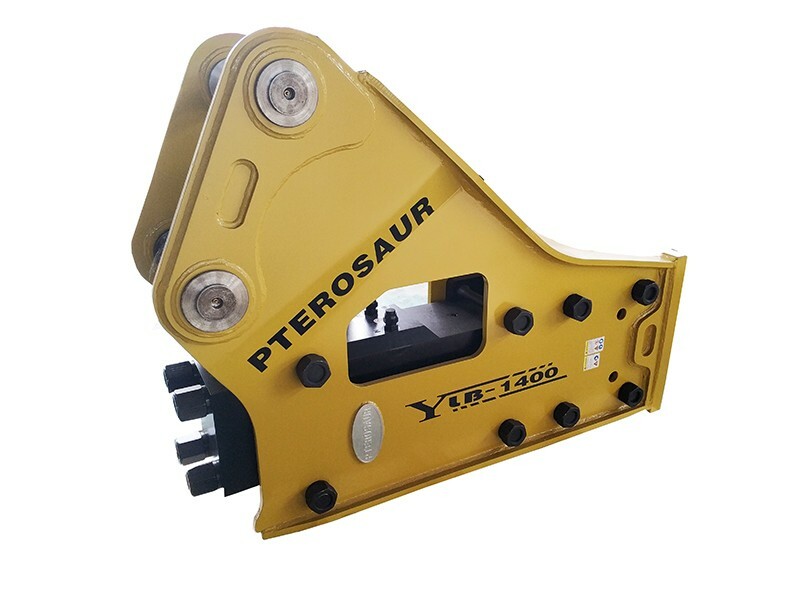 When the hydraulic breaker is installed and connected with the backhoe loader or other engineering construction machinery, the working pressure and flow rate of the main hydraulic system must meet the technical parameters of the hydraulic breaker. The “P” port of the hydraulic breaker and the high pressure oil circuit of the main engine Connect, the “0” port is connected to the main engine return line. The normal package is plywood box or pallet.If container space is not enough,we will use pe film for packing or pack it according to customers special request. 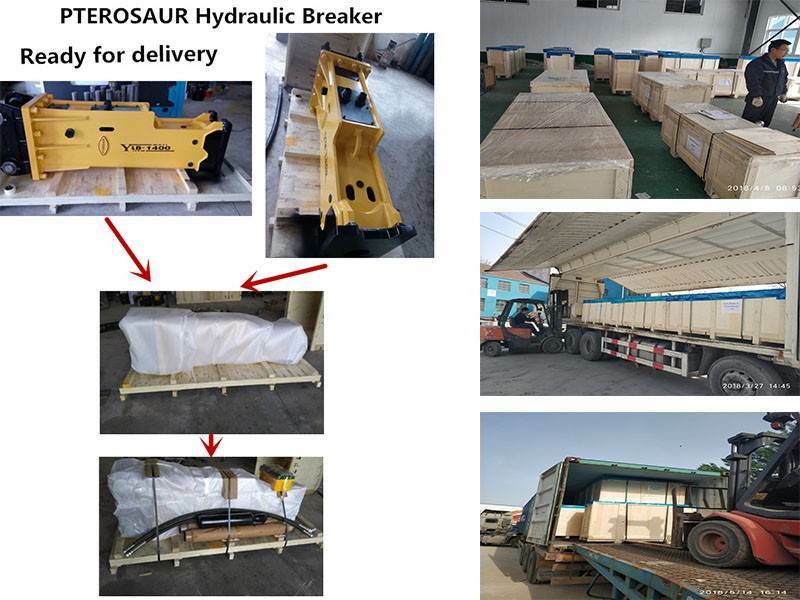 We will delivery the breakers within 7-10 working days after get the deposit if no special request. Standard accessories include two chisel,two hose,one Nitrogen bottle,one Nitrogen charging kit and pressure gauge and one tool box with necessary maintenance tools and operation manuals. A:Yes, We are a professional manufacturer for nearly 15 years. All parts are manufactured in our factory from start to finish. 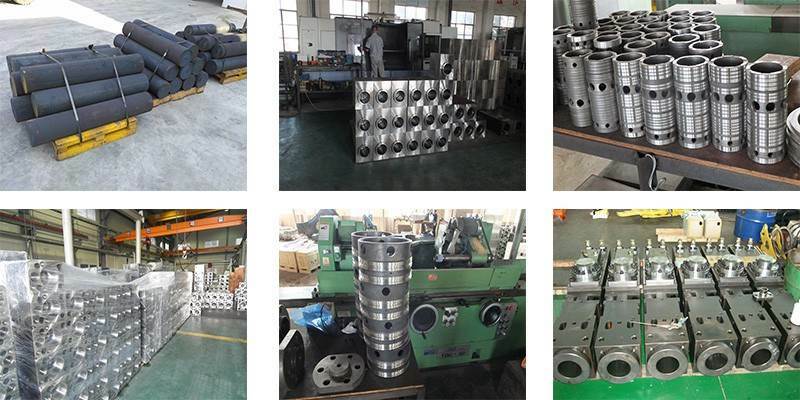 We also supply kinds of Cylinders to many companies in China. 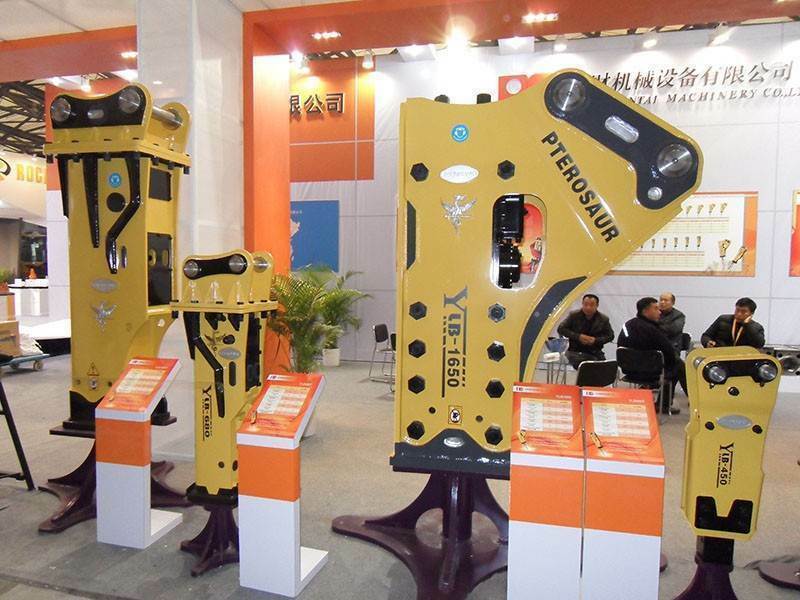 A:We have the R&D Department, we are specialized in heavy-duty hydraulic breakers and we already successfully developed first 210mm and 230mm breakers in 2016. A:Generally it takes 7-10 woking days. It also depends on your ordering quantity. Q:Do you have any certification in your factory? A: 12 month warranty. There is the warranty policy and we will send you together with breakers. Q: Can you manufacture the products according to customers’ design? A: Yes, OEM / ODM service available, technical drawing is needed. A: We have the professional after-sale service team and we can give you the best suggestion online at 24H*7days. Q: I plan to sell hydraulic breakers, but I don’t know how to do after-sale service and maintainence. A: All customers who buy hydraulic breakers from us, we will give the overall and professional instruction and training. We pride ourselves on providing outstanding customer service built on years of industry experience and product knowledge. Our specialist delivery and installation team operate 24 hours a day 7 days a week nationwide. SB81 hydraulic breaker are hot sale in many countries,if you are interested in sb81 hydraulic breaker welcome to send us inquiry.